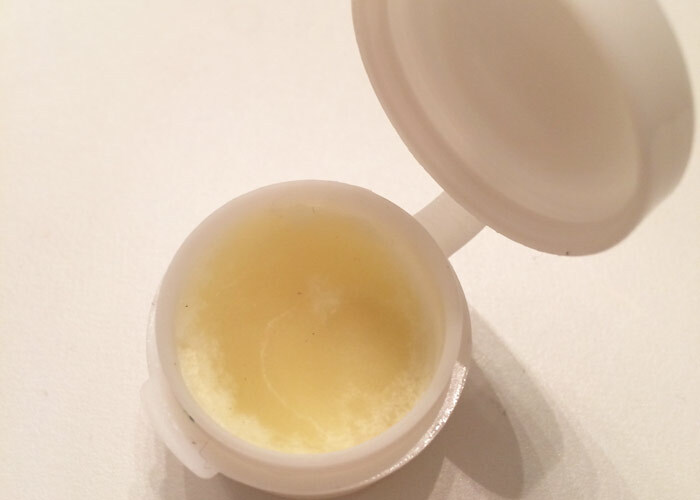 In honor of turning one year older today (yes, I celebrate all month long, but today is my actual birthday), it felt appropriate to review an eye balm … because, well, I can hear the crow’s feet coming. When I got a facial at my favorite local spa, my sweet aesthetician sent me home with a sample of Elizabeth Dehn for One Love Organics Vitamin E Active Moisture Eye Balm. 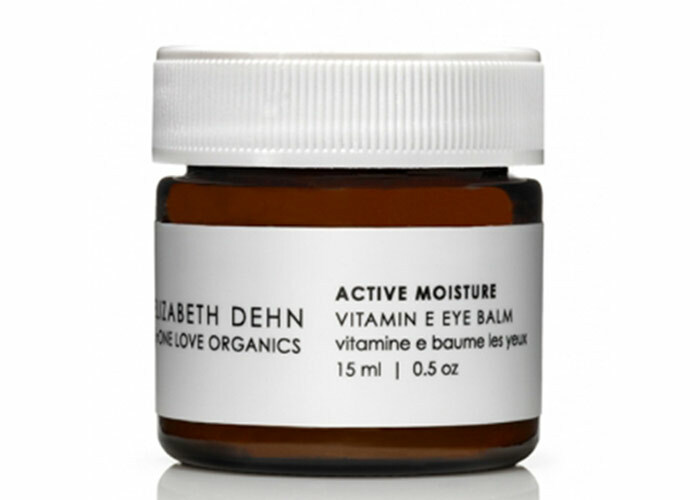 Elizabeth Dehn for One Love Organics Vitamin E Active Moisture Eye Balm is a rich, waterless eye balm that intensely hydrates the skin around the eyes. I reserve it for intense nighttime hydration, and my delicate eye skin seems to crave it post-cleansing and toning. Because of how dense this waterless eye balm is, I’m still doing just fine with my sample size after using it pretty consistently at night for the past nine weeks. As you can see in the picture above, this is truly a balm; that’s a thick, solid serving of goodness in there, and the warmth of your touch gently melts just the right amount onto your finger for you to dab onto your undereyes and corners of your eyes. If you’re heavy-handed like me, you will appreciate this formulation. You would have to press with great force into this balm to break it up and get way too much on your finger! As with most concentrated products, a little goes a long way! Plus, you don’t want to use too much of any eye cream, balm or serum or risk inducing milia, those unsightly white bumps that occur when skin flakes get caught in small pockets near the skin’s surface (I am prone to these evil little bumps!). One Love Organics says this eye balm is great for depuffing and brightening when used during the day, but I’m pretty committed to my daytime eye cream, so I can’t speak to this claim. Has anybody else had good results using it during the day? 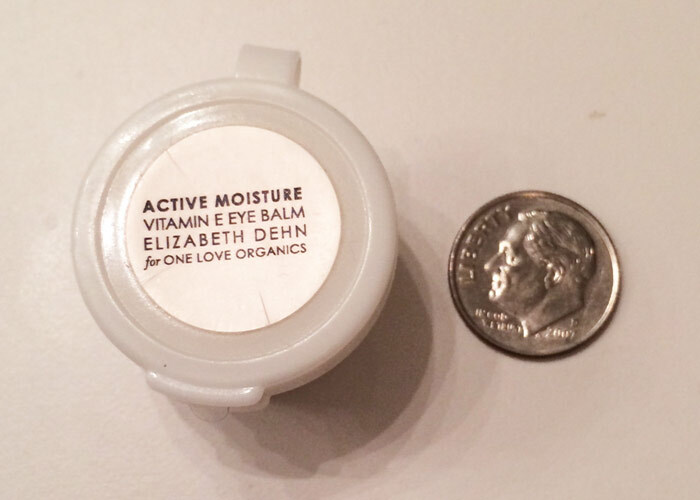 At $48 for a half-ounce that seems to last forever, Elizabeth Dehn for One Love Organics Vitamin E Active Moisture Eye Balm is fairly priced and is the perfect winter eye balm packed with vitamins A, D and, of course, E. I’m a fan and will absolutely repurchase this whenever my sample runs out (which will be???). Have you tried anything from Elizabeth Dehn’s One Love Organics collection? What about One Love Organics? Tell me what you like!